To simplify development process, we recommend to use Project Manager. It can be used to quickly create a simple application with a generic code that is enough to load a simple scene and enable basic camera controls. Starting with version 17.12, Blend4Web engine supports a new coding standard that uses ES6 modules. The old standard that uses modified CommonJS modules is still supported as well. The following chapter describes the structure of the program code in a generic Blend4Web aplication and the differences between these two programming approaches. The process of initializing and loading an application is separated into several stages, which is reflected in the code of the application. If you are using Project Manager, a newly created Copy or Compile type project will include a main JS file, which will be placed in the SDK. The path to the file will look like this: ./projects/PROJECT_NAME/PROJECT_NAME.js. If you are using ES6 notation, you don’t have to register your modules and can use them without any preparations. So, the code of a module is contained within a function that accepts exports and require parameters. The most important ones of them are the app and data modules. The app module simplifies application initialization while the data module contains API methods for loading 3D scene data. To make module naming more convenient, m_ prefix is often used (m_app, m_data etc.) to show that the variable is an engine module. canvas_container_id set the id of the HTML element that acts as a container for the Canvas element. By default, an element with the main_canvas_container ID is used (this element is located in the main HTML file of the application). callback is the function that is called after finishing initialization. success it the flag that indicates the success of the initialization. The false value meant that the application is unable to work due to initialization errors (for example, WebGL is not supported by the device). The app.init methods sets initialization to the window.onload event, so the init_cb function will have access to the entire DOM tree of the HTML document. The data.load method is used for loading. The first parameter of this method is the path to a 3D scene file. The path to a JSON file should be relative to the main HTML application file. Projects created in Project Manager have a dedicated asset folder, and you can easily obtain the path to it. This is done in the generic example code by introducing the APP_ASSETS_PATH global variable that is later used in the data.load. The second parameter of the method is the load_cb function which is called after the 3D scene is loaded and prepared for rendering. Calling this function means that the application has finished loading and now starts scene rendering. As this is the very first moment when the 3D scene data will be available, it is a suitable moment for initializing and preparing everything related to the scene, its object, animations and other things. For example, standard camera controls can be enabled here with the enable_camera_controls method. After initializing and loading 3D scene the application will proceed to work according to the logic set by the programmer such as interacting with input devices, manipulating scene objects, controlling camera behavior and so on. By observing the application loading process, we can determine several places suitable for performing various tasks. Initialization is started by the window.onload action, which means that after it is completed, the init_cb function will have access to the whole DOM tree. At this moment, you already can perform some preparations such as creating and setting up interface elements. 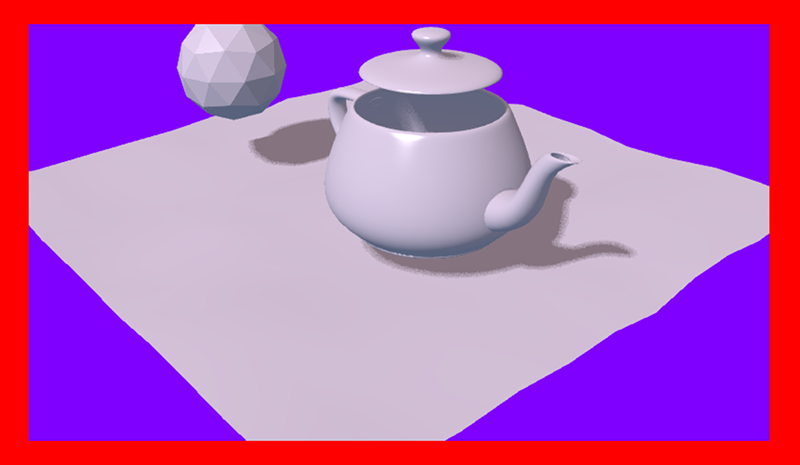 However, the 3D scene itself is not yet loaded, and its objects are not yet available. After the 3D scene is loaded, the load_cb function is called. At this moment, all scene objects become available, thus any action that concerns them can be implemented in this function. Some examples can be found in the Code Snippets application. Basic keyboard/mouse/gamepad input can be implemented with standard event handlers by using the addEventListener method. In more complex cases you can use the input API module. The engine also features the add_click_listener method that registers both mouse clicks and touch screen events which makes it useful for writing applications compatible with desktop and mobile devices alike. Time-stretched events that have to be performed at every frame (procedural animation, for example) can be implemented with methods such as set_render_callback, append_loop_cb, animate and set_timeout. Standard setTimeout and setInterval methods can also be used. For complex logic that takes into account both user actions and the state of the 3D scene can use engine’s event-driven model that is based on sensor system. Blend4Web engine is built upon modular structure: all engine API methods are separated into several modules. If necessary, a module can be plugged into the application with the require method. We recommend to structure the code of the actual application into modules as well. This only applies to the old CommonJS notation. If you are using ES6, modules can be simply plugged into your main application file using import method. As mentioned above, modules don’t have to be registered in ES6 notation. However, any custom module plugged ito your application should still have a name distinct from the names of the regular API modules. Here, one and two are the variables that are marked with the word export in the my_module.js file. Here, the my_module custom module and its init external function do, in a certain sense, act as the entry point to the application. In the global visibility scope a module can be loaded with the same require method available as a method of the global b4w object: b4w.require("MODULE_NAME"). After a project is created in the Project Manager, its generic application JS-file will contain only one module. However, while developing the application, you might need to separate your code into several logic parts. In this case, you can either create several modules inside one file, or you can create several files each one of them contain one module. If your application uses multiple modules, keep in mind that every one of them should be properly registered before initialization starts, or you will get an engine error if you try to call a module that is not yet registered. If you are using several JS files, the script that starts the initialization (contains application entry point) should the last one to be plugged into the main HTML application file. The color of the background is defined by the background_color of the Blend4Web application, the background of the HTML application is not taken into consideration. The background of the HTML application might influence the background of the Blend4Web application based on its transparency which is defined by the fourth component of the background_color parameter (alpha = background_color, not to be confused with the alpha parameter mentioned above). Picture above shows an HTML page containing a Blend4Web application with a blue [0, 0, 1] background that blends with the page’s red (Red) color producing a violet tone. Additive blending is used with the background_color having a greater influence. This picture shows the same HTML page with the same Blend4Web app, however, the alpha value is set to 0.5, leading to a darker tone of the application background. The mechanisms of alpha lending are described in greater detail in the Color Management chapter. By default, the alpha parameter is set to true and the background_color is set to transparent black [0, 0, 0, 0], which means that the application will have an HTML background with no influences from the background of the Blend4Web application. Background transparency can also be utilized in Web Player applications by using the alpha URL attribute. To use this feature, firstly you need to enable the Background transparency (alpha) parameter in the Web Player Params group while creating the application. If Blend4Web application uses sky rendering, the application canvas will be fully covered by objects (including sky), so the background will be fully opaque and not influenced by alpha settings. Sky rendering is enabled by default in Blend4Web scenes created in Project Manager. Don’t forget, in order to use a transparent background you will need to manually disable sky rendering. Currently, browsers do not fully support all possible media formats, so in order to create cross-browser applications (and also for optimization purposes) we recommend you to use the resource converter. To support a wider range of platforms, a Python script (scripts/converter.py) for converting the source files into other formats is included into the distribution. There are two ways to run this script. Firstly, you can run it automatically using the project management system. The Convert Resources button can be found in the main page of the Project Manager, in the Operations tab at the right side of the screen. To run the scripts the Python 3.x needs to be installed in your system. With the -d parameter you can specify the path to a directory in which converting will take place. To exclude some directory from resource conversion, it is enough to put a file named .b4w_no_conv in it. This will not affect conversion in nested directories. The resize_textures argument is used for decreasing texture resolution for the LOW mode. resize_textures converts textures to lower resolution. convert_dds converts textures to DDS format. convert_pvr converts textures to PVR format. convert_media converts audio and video files to alternative formats. convert_gzip generates GZIP-compressed versions of ”.json” and ”.bin” scene files and ”.dds” and ”.pvr” textures. cleanup_textures removes low resolution textures generated by the resize_textures command. cleanup_dds removes DDS texture files generated by the convert_dds command. cleanup_pvr removes PVR texture files generated by the convert_pvr command. cleanup_media removes audio and video files in alternative formats that were generated by the convert_media command. cleanup_gzip removes GZIP-compressed files generated by the convert_gzip command. compress_png compresses PNG files in order to decrease their size. This option requires OptiPNG tool to be installed and set up in the PATH environment variable. -d, --dir <dir_path> enables using an alternative directory to store converted files. The <dir_path> value specifies the path to this directory. -j, --jobs <jobs> specifies the number of jobs (threads) to run simultaneously. If this parameter is set to zero or is not specified, the number will be calculated automatically based on the number of CPUs. -v, --verbose enables outputting more information about files that are being converted. For example, when converting textures into DDS format, the script will show progress percentage for every file that is being converted. Linux users can additionally install the package qt-faststart which is used to optimize loading media files. For MS Windows users it is not necessary to install these packages since they are already present in the SDK. macOS users can install the brew package manager first and then install any missing packages. We recommend to use ogg as a base format. In this case the only conversion required for cross-browser compatibility will be ogg to mp4. Example of an input file: file_name.ogg, example of an output file: file_name.altconv.mp4. We recommend to use WebM as a base format. In this case the only conversion required for cross-browser compatibility will be webm to m4v (webm to seq for iPhone). Example of an input file: file_name.webm, example of an output file: file_name.altconv.m4v. Example of an input file: file_name.jpg, example of an output file: file_name.altconv.jpg.dds. This will tell the engine to load PVRTC textures, if such are present in the ./assets/ folder. as DDS is a lossy compression format, compression artifacts might be visible, especially on normal and stencil maps; it is recommended to disable compression for such textures. An example of the DDS compression artifacts, particularly visible on the edges of the shadow. During exporting the scene from Blender to the JSON format (but not the HTML format), DDS textures will be plugged in automatically, if they are present. Textures can be converted to the DDS format using the project manger or the scripts/converter.py script described above. PVRTC is another texture compression format used primarily on iOS devices. 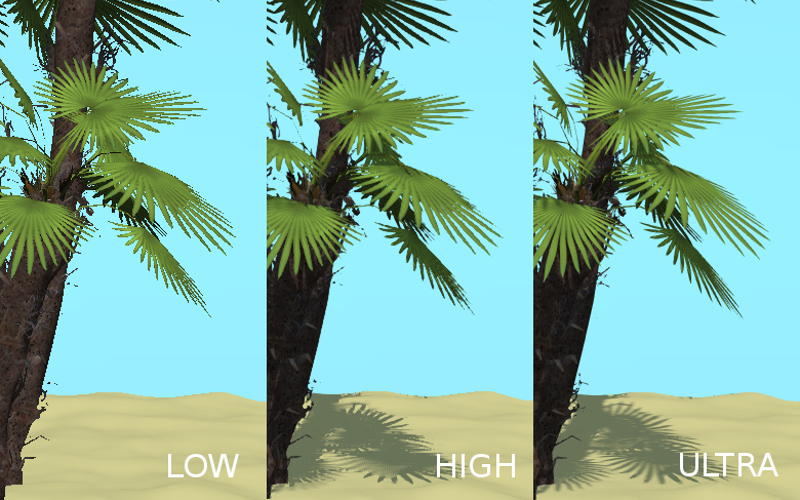 In some cases it can produce texture files up to two times smaller than same texture images would take in DDS format. The format has two compression settings that are supported by the engine: 2-bpp (two bits per pixel) and 4-bpp (four bits per pixel). 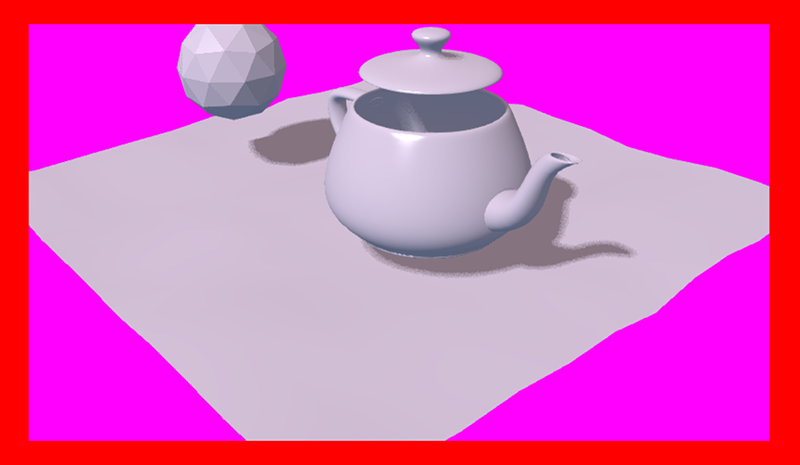 As with DDS format, textures compressed using the PVRTC algorithm may not work on some platforms, especially mobile, because using this compression format require support for the IMG_texture_compression_pvrtc WebGL extension. The PVRTC library and SDK are available for Windows, Linux and macOS systems alike. Installation packages can be downloaded from the Power VR Insider web page. where <InstallDir> is the PVRTexTool installation directory and <PLATFORM> is a folder that contains the version of the tool that corresponds to your OS, for example, \Windows_x86_64\ for 64-bit Windows OS. After this, you will be able to convert the textures to the PVR format by using converter.py script with the convert_dds command. The .seq file format is used for sequential video. This is applied for IE 11 and iPhone because they are currently missing support for standard video formats for textures. Using dds format for images is more optimal compared to other formats. The engine can use files which are manually created by a user if they have the following names: file_name.altconv.m4v, file_name.altconv.mp3 and so on. Such files should be placed in the same directory as the media files used in Blender. You can also use the free and cross-platform application Miro Video Converter to convert media files. Typical Blend4Web application can use various resource formats from standard HTML, JS, CSS, PNG or JPEG files to engine-specific JSON- and BIN-files that contain scene data. Compressed DDS/PVR image formats are also an option. Both big and small applications benefit from decreasing the size of the resources, as this also decreases the loading time. Usually, loading time can be decreased by setting up caching on the server that contains web application. You can also enable GZIP compression for various file types. Speaking of the specific file types, GZIP compression should be used for JSON, BIN, DDS and PVR files. JSON and BIN files, being the main scene files, can contain large amounts of data, while DDS and PVR also can be quite large (at least when compared to standard PNG and JPEG files), and there can be quite a lot of them. But if for some reason GZIP compression cannot be set up on the server, it can be enabled in the application itself. The engine can load compressed resources in the form of .gz files. To use this feature in a WebPlayer JSON type project, you need to pass the compressed_gzip URL parameter. If you are developing your own application, you need to pass the assets_gzip_available configuration parameter during the initialization. This also applies to the .dds and .pvr files and their compressed counterparts .dds.gz and .pvr.gz. If a compressed .gz is not present, engine will load the original file and output a corresponding message to the console. GZIP compressed files can be generated with the convert resources command that can be found in the Project Manager interface. This can also be done in the console by running the ./scripts/converter.py script with the compress_gzip (for compressing resources) or the cleanup_gzip (for removing compressed files) command. The SDK includes the Code Snippets application which demonstrates how to use the engine’s functionality. The Code Snippets application is available at ./apps_dev/code_snippets/code_snippets_dev.html. It can be also run by using a link in the index.html file located in the SDK root. This way you ensure that your applications will find assets independently of the current development stage (developed, built or deployed). The event-driven model provides a universal interface for describing the 3D scene’s change of state. It simplifies the processing of physics events and user actions. The basic unit of the event-driven model is a sensor. A sensor is a programming entity and can only be active (1, one) or inactive (0, zero). Some sensors may carry a payload which can be received in the manifold’s callback function with corresponding API. For example, the ray-tracing sensor (Ray Sensor) provides the relative length of the intersection ray. An object to carry the manifold (e.g. a thrown object). A unique id of the manifold (e.g. “IMPACT”). Callback execution mode (the options are: CT_POSITIVE - logic function positive result, CT_CONTINUOUS - every frame with a positive logic function result and once with a zero result, CT_LEVEL - any logic, function result change, CT_SHOT - one-stage logic function result change, CT_TRIGGER - logic function result switch, CT_CHANGE - any sensor value change). A logic function to define the combination of the sensor states for which the callback function is executed. An optional parameter to pass into the callback function. You can read more about engine API in the controls module documentation. Let’s consider the task to insonify the impact of a thrown stone. A distinctive sound should be produced for impacting different media (for example terrain and wall). There are collision meshes with physical materials in the Blender scene, material ids are “TERRAIN” and “WALL”. There is also a physical object being thrown in the scene, the object is named “Stone”. Let’s define a collision sensor for each medium, by the type of the sound produced. Add the sensors into an array. Use the OR logic in the logic function. Place the sound processing code in the callback function. Create the sensor manifold with the “IMPACT” id and the CT_SHOT type. When the “Stone” object collides with any physical material of “TERRAIN” or “WALL”, the callback function is executed. Inside this function we get the values of both sensors by their indices in the sensor array (0 - “TERRAIN”, 1 - “WALL”). The sensor value = 1 (active) means that the collision happened with the corresponding physical material. As a result the corresponding sound is produced (the code is not shown). Compiled engine files. Shared by all applications from SDK (hence the name). The engine’s renderer is a web application and it works when you view an HTML file in a browser. After initialization the resources (scenes, textures) are loaded. This process is subject to the same-origin policy rule. In particular this rule forbids loading from a local directory. Since version 15.02, the Blend4Web SDK includes the development server to solve the problem of loading local resources. Several quality profiles are implemented in order to support platforms with different functionality. maximum quality (P_ULTRA) - rendering resolution is doubled, resolution of shadow maps is increased, the anti-aliasing method is FXAA (uses higher quality settings and works slower). custom quality (P_CUSTOM) - any quality parameter can be set to any possible value. This option is used when you need to set certain quality parameters manually. By default, it uses the same settings as High quality profile. Switching the quality profiles can be performed in runtime before initialization of the WebGL context. The default profile is P_HIGH. These settings are also available in Blend4Web Add-on interface and are described in greater detail in a dedicated chapter. This parameter, along with other reflection settings, is also available in Blend4Web Add-on interface and are described in greater detail in a dedicated chapter. These parameters are also available in Blend4Web Add-on interface and are described in greater detail in a dedicated chapter. The Canvas element, to which the rendering is performed, can change its position relative to the browser window. This can occur due to some manipulations over the DOM tree, or as a result of page scrolling which is especially relevant for non-fullscreen web applications. In most cases this will not affect the performance of the app by any means. However, some DOM events related to mouse cursor or touch position may carry incorrect information. This occurs because the coordinates obtained from the corresponding events are measured relative to the origin of the browser window, while the engine works with the coordinate space of the Canvas element itself (its origin is located in the top left corner). If the top left corner of the Canvas element matches the top left corner of the browser window and is fixed in its position (non-movable) then it’s sufficient to use event.clientX and event.clientY coordinates of the input events or get_coords_x() and get_coords_y() methods. Sometimes you might need to lock a mobile device to a certain orientation, especially when you don’t want to make both landscape and portrait interface variants. Since the native screenlock API is experimental and isn’t widespread, this might be easier to do using CSS rules. © Copyright 2014-2017, Triumph. Last updated on 2019-04-16.